I would like to receive occasional information and updates from Tennis First and jumblebee. Welcome to the Tennis First Summer Auction and we hope you enjoy browsing through the various lots and making your bids. The auction will remain 'live' until 5pm on Thursday 7th June, after which we will contact the lucky winners. Tennis First is a registered charity (no. 1173079) that helps young players throughout the UK who, in our opinion, have all the attributes required, and are dedicated to fulfilling their potential of reaching a senior world ranking of 250 or better. We organise several events and auctions throughout the year to fundraise for our young players and, with your help, we hope to be able to fund the next generation of British tennis stars. 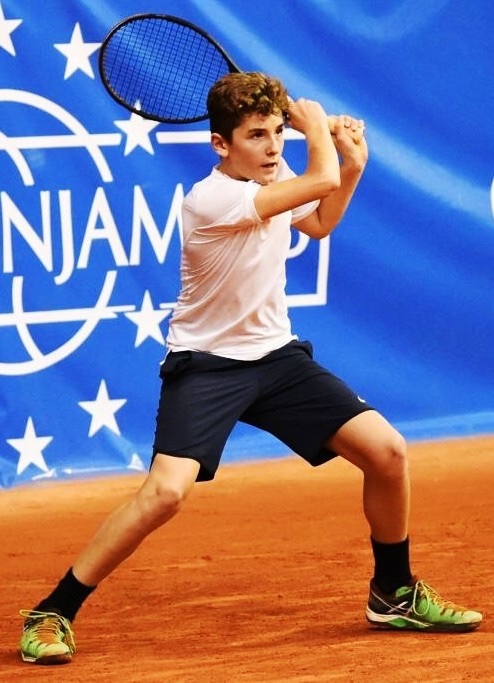 For more information about Tennis First and the work that the charity is doing to promote talented young players, please visit our main site. www.tennisfirst.org.uk. Minimum bid is £400 (Bid increments are £25). 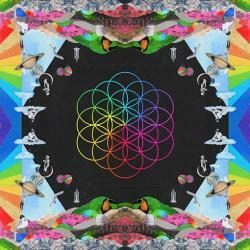 From a limited edition of 250, this vibrant giclée is the album cover to Coldplay's latest album 'A Head Full of Dreams' released in 2015. It is also signed by the artist Pilar Zeta. A stunning piece of art for any music lover's wall! The picture is framed and measures W68cm x H68cm. NB: This is a Superstars item. Tennis First will only receive funds raised OVER the reserve price. Two tickets with full hospitality, England v Australia ODI at The Kia Oval, WedsJune 13th 2018. Always competitive, not to say combative, the Aussies are back in town for the first of 5 One Day Internationals, beginning with this contest at the atmospheric Kia Oval. Two tickets at the top of the OCS stand with hospitality, including morning coffee, lunch and tea. Drinks are also included. So why not cheer our boys to a first victory – it’s a truly great day out. Minimum bid is £125 (Bid increments are £25). Daily Telegraph cartoonist Matthew Pritchett – known simply as “Matt” – marks 30 years this year since his first cartoon was published in the newspaper. Universally popular with not only members of the public, but also politicians and Royalty, The Duke of Edinburgh even sent a hand-signed congratulatory message to Pritchett saying he was a “genius” with an “ability to think of wonderfully appropriate swipes at the idiocies of contemporary life”. 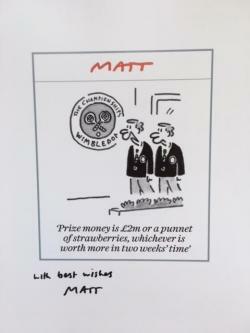 We have a wonderful cartoon, tennis-themed of course, signed by the great man himself. What a wonderful addition to any house filled with a good sense of humour! The cartoon is A4 sized, printed on photographic paper and unframed. Minimum bid is £1300 (Bid increments are £50). Take part in this year’s Goodwood Revival recreating the golden era of the Goodwood Motor Circuit (1948-1966). This extraordinary event, a theatrical and sporting drama, assembles the most significant racing cars and motorcycles along with legendary drivers and riders from the past and stars of today. This event has become one of the biggest historic motorsport events in the world and the only one to be staged entirely in period dress. Treat yourself and a guest with Goodwood Mess hospitality, allowing you to let your hair down and enjoy the animated atmosphere. You will be at the centre of the action track side, next to the assembly area and just beyond the start/finish line with great views all the way to Madgwick Corner. Your package includes: admission badge to the Revival, trackside right next to the assembly area. Breakfast, Champagne reception, buffet lunch, traditional English afternoon tea, unlimited wine, beer and soft drinks, event programme, race card and radio earpiece and paddock access. Valid for Friday 7th September 2018 for two people only. Additional places may be available to purchase if required. Minimum bid is £325 (Bid increments are £25). 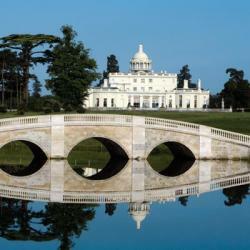 The Stoke Park Country Club, Spa and Hotel in Stoke Poges, Buckinghamshire is the perfect place to enjoy life in a five star and friendly atmosphere. It offers a unique combination of the traditions of an exclusive club and the best of today's sporting, leisure, entertaining and hotel facilities. Use all the spa, health and racquet facilities in a special day which includes a two course lunch in the Garden Lounge as well as two 55 minute treatments per person. Minimum bid is £475 (Bid increments are £25). With Andy Murray planning to be back from injury in time for the grass court season and the likes of Cilic, Dimitrov and Nadal already signed up, the demand for tickets at Queens this Summer will no doubt be higher than ever. So, save yourself some hassle, and bag yourself two prime tickets for the semi-finals of this ‘ATP Tournament of the Year’. Minimum bid is £1225 (Bid increments are £25). 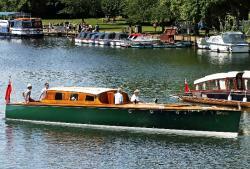 A Thames riverboat cruise for 8 on 'Gelyce', a beautifully restored 50 ft yacht tender. What a brilliant way to spend a summer's day catching up with friends!! ‘Gelyce’ is one of only 3 remaining Gelyce class boats (only 9 were built), and the only one to be used as a J class yacht tender, making it unique! Now beautifully restored and in concours condition, Gelyce’s crew will welcome you in Windsor, taking you upstream past Windsor Racecourse and The Waterside Inn at Bray to Cliveden Deep. Here you can disembark for an optional picnic lunch before making the return trip of some 10 miles to Windsor in the elegant cabin. The Thames here is surprisingly quiet and relaxing given its proximity to large nearby towns and this bespoke round trip will provide one of life's great memories. Subject to availability. Food and drinks extra. Minimum bid is £525 (Bid increments are £25). Jeremy Houghton is a renowned British painter, the majority of whose work captures movement. Over the last ten years he has been invited to detail the life of a number of high-profile communities from those at Windsor Castle and Highgrove to last year’s Wimbledon championships, and the competitors at the 2012 Olympics and Paralympics. He is currently working on the centenary of the RAF and painting the last few surviving airmen who flew in WW2. As ‘Champion Artist in residence’ at Wimbledon in 2017, he was asked to produce a series of documentary paintings showing both the action on court and the everyday sights at the world-famous Club. 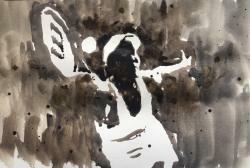 This stunning watercolour of U.S tennis star, Venus Williams, is signed by Jeremy and measures 25 x 20cm. It is unframed. Minimum bid is £350 (Bid increments are £25). Harriet is a former Tennis First Grantee and fast climbing the ranks of the WTA tour. 2018 has already seen her claim her first $25 ITF Pro title as a qualifier, beating three former top 100 players on her way to victory. She has also had much success in doubles winning 10 ITF Pro doubles titles, including three at $25,000 level, the most recent one on home soil in November 2017. She is now at a career high ranking of WTA 214 and looking forward to breaking into the top 200 very soon. Time and venue to be mutually agreed. Minimum bid is £1800 (Bid increments are £25). A visit to the Wimbledon Finals is a common entry into bucket lists around the world, so don’t miss this opportunity for a very special day out! You’ll be met and hosted for lunch in the Members Enclosure, access to which will be yours for the day, before setting off to Centre Court to see the 2018 champion crowned. To complete your day, this is followed by the contrasting Mens Doubles final. 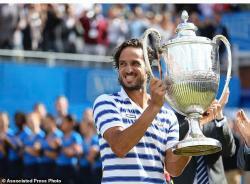 Altogether a great day out for any tennis lover! The date of the final is Saturday 14th July, 2018. Minimum bid is £920 (Bid increments are £25). 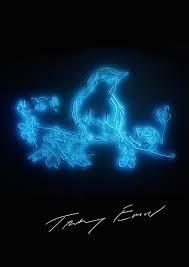 'My Favourite Little Bird' is a limited edition poster print from an edition of 500 by the infamous Tracey Emin. Born in Croydon, London in 1963 and brought up in Margate, Kent, Tracey Emin is one of the leading British contemporary artists working today. This piece is signed by Emin and was printed in 2015. It is framed and measures W57cm x H76cm. Minimum bid is £275 (Bid increments are £25). This wonderful prize comprises a voucher for two couples to experience a day at Foxhills Club and Resort in Surrey. 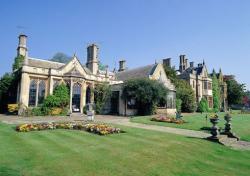 Foxhills is a fantastic destination set in 400 acres in stunning Surrey countryside. Whilst two of you enjoy a round of golf on one of Foxhillls’ two championship courses, the other two can relax in the recently voted Spa of the Year. Treatments and lunch not included, but can be booked in advance. Minimum bid is £300 (Bid increments are £25). Aidan was helped by Tennis First for several years and is now one of the LTA's PSP players and his progress has been remarkable. 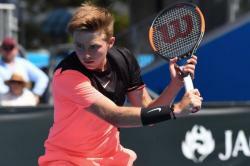 You may recognise his name, as he recently reached the semi-finals of the Australian Open Junior Boys Singles just a few of weeks ago. He has also recently signed to Andy Murray’s new management company, ’77 Sports Management’. So, grab the chance now to play with a real star of the future, before his training and tournament schedule becomes too full! British stars, Johanna Konta, Heather Watson and Cameron Norrie will join other world stars including Naomi Osaka and reigning Champion, Donna Vevic, for another fantastic week of grass court tennis in the build up to Wimbledon. We have four tickets, including hospitality, for Tuesday 12th June, 2018. Minimum bid is £1040 (Bid increments are £50). Henley Royal Regatta is undoubtedly the best known rowing regatta in the world and is both a highlight of the summer sporting calendar and social season. Aboard the Windsor Belle – a stunning vintage steam launch, you will cruise along the famous regatta course taking in the rowing and the inimitable ambiance of this iconic event. You will dine in style with canapés, full buffet lunch and a traditional afternoon tea accompanied by free flowing Dom Perignon Champagne served by the on-board butler. The Windsor Belle team will ensure that you enjoy the day and are well looked after with first class food and champagne. Throughout the day the Windsor Belle will do several laps of the regatta course with the possibility to disembark, should you wish, to enjoy the regatta on the banks of the Thames. This is a wonderful way to experience Henley Royal Regatta in true elegant style. This experience is for 2 people and will take place on Friday 6th July 2018. Timings for the day are approximately 11.30am – 4.30pm. Additional places available upon request. Over 18’s only. Minimum bid is £90 (Bid increments are £5). Here's one for the collectors box! We have an official Davis Cup programme from the infamous GB v Belgium final in 2015, when Great Britain won the Davis Cup for the first time since 1936, after Andy Murray beat Belgium's David Goffin to clinch the decisive point in Ghent. The programme is signed by both Jamie and Andy Murray and is a wonderful reminder of a very special moment in tennis history. Minimum bid is £425 (Bid increments are £25). Two tickets to the Nitto ATP Tour Finals with hospitality, Thursday 15th November, 2018 (evening session). 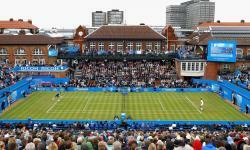 The race to London is on to see who will make the final eight of the Nitto ATP Finals at the world-famous O2 arena. Will we see the legendary Rafa, Novak or Roger or will the group be made up of fresh new blood, with the likes of Zverev, Chung and even GB's own Edmund? You can be there to see the best of the best - and do it in style with prime tickets for the evening session on Thursday 15th November, plus hospitality courtesy of the LTA. Be a part of the magic!! Minimum bid is £2800 (Bid increments are £50). 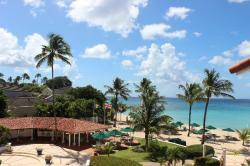 Enjoy an unforgettable 7 night stay in a luxury, newly refurbished two-bedroom apartment in Glitter Bay, located on the stunning platinum coast of Barbados. This well-equipped modern apartment is set amongst natural and unspoiled surroundings, with a tranquil swimming pool, allocated sunbeds, tennis courts, a fitness room and within walking distance of the azure waters of Alleynes Bay, regarded as one of ‘the most beautiful beaches on the island’. You will also have access to the award-winning Fairmont Royal Pavilion Resort Beach Club where you can enjoy their beach bar and restaurant situated next door to your apartment. Discover the islands’ history, beautiful architecture, restaurants and shopping in the small towns of Holetown and Speightstown within close proximity of Glitter Bay. Whilst settling into the relaxed vibe of this beautiful island, watch the sunset and enjoy the culinary delights of Lone Star restaurant; renowned for its idyllic setting, celebrity clientele and buzzy yet laid back atmosphere, a 5 minute walk along the beach from your apartment. Valid for 18 months from the event date, must be booked and taken between the dates of 16th April and 20th December. Peak season dates are available at a surcharge. Flights and transfers are not included. Minimum bid is £380 (Bid increments are £25). 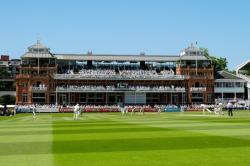 The showpiece of the cricket season at the Home of Cricket! What could be better? England host the visiting Indians, featuring Virat Kohli – arguably the world’s best batsman – and his talented side. Two tickets for Day 2 of the Test in the Edrich Upper stand can be yours. A quintessentially English summer’s day out!! Minimum bid is £640 (Bid increments are £25). Make up artists don’t come much more legendary than Charlotte Tilbury; with twenty years in the industry, she’s a true trailblazer – creating looks for some of film and fashion’s most iconic faces. This is a chance for you and a friend to experience Charlotte’s Beauty Boudoir at her flagship store in Covent Garden, London. 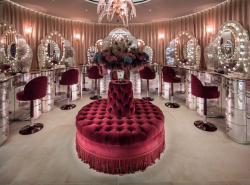 On arrival you will be greeted with Prosecco and shown to their Private Beauty Boudoir, where you’ll be introduced to your make-up artist who will be teaching you the tricks of the trade. Your two hour workshop will cover 'Expert Artistry Made Easy’ - an interactive session where you can focus on a look you want to master. You will each receive a luxury goody bag and you will have £100 each to redeem on products. Once beautified, you will then head to The Savoy Grill where you will enjoy a three course lunch. Must be booked and taken within 12 months of purchase. Various dates available each week and are subject to availability. Minimum bid is £1025 (Bid increments are £25). This rare bat presentation has been signed by the Indian cricket legend Sachin Tendulkar and is from a 'Little Master' limited edition of just 50. Tendulkar is a former Indian cricketer and captain, widely regarded as one of the greatest batsmen of all time. He is the only player to have scored one hundred international centuries, the first batsman to score a double century in a One Day International, and the only player to complete more than 30,000 runs in international cricket. Minimum bid is £200 (Bid increments are £25). A wonderful piece of memorabilia for any Murray fans out there. 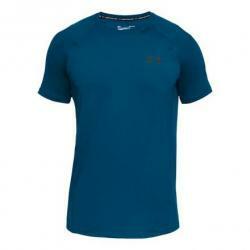 We have one of his very own Under Armour shirts (worn, but washed!) signed by the great man himself. Treat yourself to something special and you may even find the shirt brings some of the Murray magic to its new owner! This photo has been signed by Jessica Ennis-Hill, who became the face of the London Olympics. Ennis-Hill was the winner of the women's Heptathlon at the 2012 Olympic Games. In October 2016 Jessica announced her retirement from athletics. Katy Dunne is a former Tennis First Grantee and now another GB rising star in the WTA. She represented GB throughout her junior career, was part of a Maureen Connolly team which beat the US, and played in the Junior Fed Cup finals in Mexico. She achieved a top ten junior ITF ranking and played in all the junior grand slams. Katy won her first ITF women’s title in 2013 in Greece and has won 5 singles and 7 doubles titles since she started on the women’s tour and her current ranking on the WTA is 219. Minimum bid is £250 (Bid increments are £25). 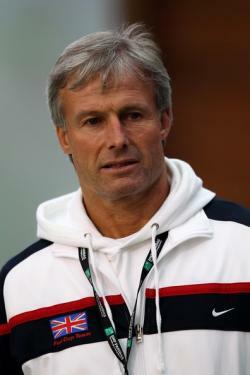 Nigel Sears is a Tennis First ambassador and has had an amazing career as a coach on the WTA tour. His charges have included Amanda Coetzer (career high WTA ranking: 3), Barbara Schett (7), Daniela Hantuchova (5), Maria Kirilenko (9) and Ana Ivanovic (1). So you (and a friend if you would like) would be in great hands for an hour of advice and tips from Nigel. A super opportunity to improve your game! Here's a fabulous day out for the golfers amongst you! Easily accessible yet in the Buckinghamshire countryside, why not indulge yourself and your guests at one of Britain's great sporting hotels? This voucher entitles the recipient and three guests to full use of the practice facilities as well as 18 holes on our championship golf course playing either, the Alison / Lane Jackson or the Lane Jackson / Colt golf course. This voucher must be pre-booked in advance and is subject to availability. Valid Monday-Thursday, excluding Bank Holidays. Minimum bid is £775 (Bid increments are £25). 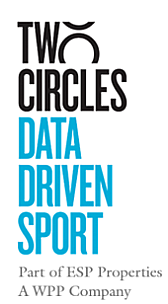 Two Circles is a top Sports Marketing Agency and winner of the most coveted awards for sports agencies in the UK – the BT Sport Industry Agency of the Year, plus it was named one of the Sunday Times 100 ‘best companies to work for in 2018’. They are offering the chance for someone to have a week’s work experience, starting from 30th July 2018. This is an ideal opportunity for any budding young Sports Marketer. Take a look at http://www.insidetwocircles.com for more information. Minimum age is 16. The work experience will be office based in Farringdon, London. Travel costs to and from, plus subsistence, are responsibility of candidate. 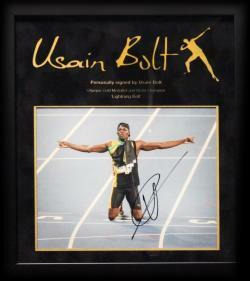 This unique presentation of Usain Bolt is signed by the 8-time Olympic Champion himself. Arguably the most naturally gifted athlete the world has ever seen, Usain Bolt created history at the 2016 Olympic Games in Rio when he achieved the ‘Triple Triple’, three gold medals at three consecutive Olympic Games. Usain’s journey to worldwide stardom started at the 2008 Olympic Games in Beijing where he won the 100m, 200m and 4x100m, all in world record times. He followed this up with three gold medals in the same events at the 2012 Olympic Games in London to write his name in the history books as the world’s fastest man. Then one day before his 30th birthday he completed the same triple at the 2016 Olympic Games in Rio to cement his legacy as a legend in world sport. This picture is signed by the legend himself. It is framed and measures W34cm by H38cm. Minimum bid is £1275 (Bid increments are £25). Sharpen up your wardrobe with a handmade bespoke suit from McCann Bespoke Tailoring of Shaftesbury Avenue, London. McCann’s provide a luxury bespoke tailoring service to leading businessmen, professionals and sports personalities from all over the world. Enjoy a personal consultation to help you choose your perfect suit. Whether it’s a cloth, style or fit a McCann master will guide you in the right direction to ensure you end up with a finished product you are delighted with. This fantastic presentation is signed by seven of the England cricket team who were victorious over Australia in The Ashes 2015. After a strong start, England went on to dominate the fourth test, crushing Australia and winning the series. Signed by Broad, Root, Ali, Rashid, Lyth, Bell and Bairstow. The montage is framed and measures W72cm x H38cm. Minimum bid is £130 (Bid increments are £10). What a super night out at Sandown Park! 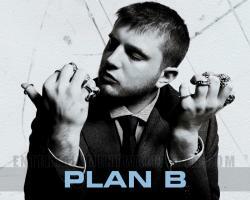 First some high class flat racing beginning at 6pm followed by the BRIT award winning Ben Drew aka Plan B. His No.1 album, ‘The Defamation of Strickland Banks’ sold 1.4 million copies. His 4th album ‘All Hell Breaks Loose’ has just been released. 4 tickets for this unique combination of great racing and a uniquely creative artist! The Nature Valley Classic in Birmingham is a WTA Premier level Women’s tournament which attracts world-class players. Previous champions include Billie Jean King, Maria Sharapova and Petra Kvitova (2017). Already signed up for 2018 are Johanna Konta and Wimbledon Champion Garbine Muguruza. So, grab some friends and enjoy some fantastic tennis and equally world-class hospitality at the prestigious Edgbaston Priory Club this Summer. The tickets are for Tuesday 19th June, 2018. We are proud to offer a signed Wilson racket used by Kyle Edmund, now 17 in the ATP world rankings – the best an alumnus of Tennis First has achieved. Edmund’s rise up the rankings this year has been remarkable, starting with his semi final in the Australian Open in January. This is a Wilson Pro Staff 97 racket used by Kyle and signed on the handle. 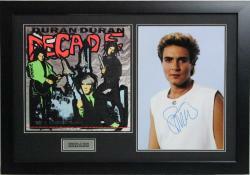 A signed photo presentation of Simon Le Bon from 80's pop sensations 'Duran Duran' which includes a vinyl sleeve from the album. This is a 'must' for all those who grew up in the 80s! The item is framed and measures L75cm x W52.5cm. A sumptuous overnight stay for two at the Compleat Angler Hotel in Marlow. Located on the banks of the River Thames with unparalleled views of the Marlow Weir in the heart of Buckinghamshire, you'll find the world-renowned Macdonald Compleat Angler. Your overnight stay for two will be in a stylish executive room and includes dinner & breakfast. Marlow is a renowned destination for foodies and dinner in the 2 AA rosette Riverside Restaurant will be an undoubted highlight. So what will be your excuse to visit?!? Subject to availability. Excludes bank holidays and special event dates. Minimum bid is £500 (Bid increments are £25). Cowley Manor is a stunning country house hotel in the glorious Cotswolds and is the ideal place to relax, unwind and indulge in the heart of the British countryside. 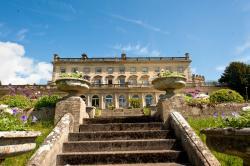 Enjoy a restorative break at Cowley Manor for 2 people. Inclusive of a 30 minute spa treatment per person, a 3 course dinner, a nights stay in a 'Good' room and full breakfast. Sunday - Thursday bookings only, subject to availability. Valid for 12 months from date of purchase. (Close out dates: Valentines, Bank holiday Sundays or Christmas - 24th, 25th & 26th Dec). Minimum bid is £80 (Bid increments are £10). Sportkind is an exciting young German Tennis clothing brand that has a fantastic following in Europe and is growing in popularity throughout the UK. Known for their classic designs, flattering shapes and products that last. Available in a huge array of colours, with the highest quality Italian made fabric and products engineered to deal with all temperatures. Minimum bid is £225 (Bid increments are £25). This is a real treat for those looking to unwind and indulge with some precious 'me time'. The Simply Spa Day for two people offers a whole day of relaxation, including a welcome drink, a three course lunch and full use of the spa and leisure facilities at this stunning hotel in Staffordshire. You can also look forward to unlimited use of the aqua therapies, detox areas, relaxing pools and the fabulous Nordic Heat and Ice Suite. So why not treat that special person (or two!) to a wonderful day out at an equally wonderful Spa Hotel. Subject to availability. Treatments not included, but can be added to enhance the package. With new sponsors there’s bound to be a new look to Queen’s Club this year, but expect the tennis to be as good as ever. Rafa heads the field, but will be challenged by Grigor Dimitrov, the Tour Finals champion, and the popular Juan Martin del Potro. Not forgetting, of course, the new British No.1 and former Tennis First grantee Kyle Edmund. 2 tickets in the exclusive North stand on what is scheduled as quarter finals day. A brilliant day out! Minimum bid is £615 (Bid increments are £25). Chewton Glen is a luxury country house hotel and spa set in 130 acres of Hampshire countryside on the edge of the New Forest National Park and just a few minutes' walk from the sea. Chewton Glen is a proud member of Relais & Châteaux and listed as one of the 'World's Best Hotels' by Conde Nast Traveller readers. You and your guest will enjoy a fabulous overnight stay in a Classic Double Room boasting beautiful views of the garden and parkland. Head to dinner (included in the prize) within the award-winning restaurant run by Head Chef Simon Addison and Executive Head Chef Luke Matthews. A full English breakfast will be served the following morning. Other options on site include a luxurious spa featuring a sauna, steam room and whirlpool, four tennis courts, a gym and a magnificent golf course. This stay must be booked and taken by 31st December 2018, accommodation and dining are subject to availability. A dinner reservation will need to be made in conjunction with your stay. Valid for Sunday to Thursday night bookings only. The Nature Valley International at Eastbourne boasts a fantastic line-up of world-class tennis as a combined Men’s and Women’s event. Already confirmed for this year’s event are Johanna Konta, Caroline Wozniacki and Petra Kvitova. Last year’s event saw Djokovic lift the trophy on his first visit to Devonshire Park, so the race is on to see who could lift the trophies in 2018. We have four tickets for Friday 29th June, which will include play from the ATP and WTA main draw, plus the ATP Doubles Final. Glasgow’s Emirates Arena will host Great Britain’s first Davis Cup by BNP Paribas tie on home soil in two years when Leon Smith’s men take on Uzbekistan in the World Group play-offs. The play-offs will be the first meeting between Great Britain and Uzbekistan in Davis Cup history. At stake for the host nation is its place in the World Group, with Britain's five-year stay in the top tier under threat following their first round defeat to Spain in Marbella in February. We have four tickets, plus hospitality, to this unmissable event on Friday 14th September. Don't miss your chance to be part of the action! Minimum bid is £375 (Bid increments are £25). From a limited edition of just 75, 'Brook' is an original print on Somerset Velvet paper. 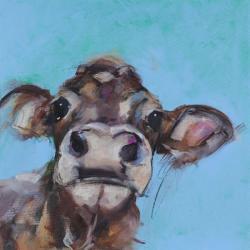 Artist Sue Moffitt grew up on a dairy farm in Cumbria, hence her fascination with cows. The piece is signed by Moffitt, it is framed and measures W68cm x H70cm. Minimum bid is £150 (Bid increments are £10). A great chance to update your tennis wardrobe! We have a Fila clothing package (either Mens or Womens – depending on who wins!) which includes two tops, a skirt/shorts and a jacket. 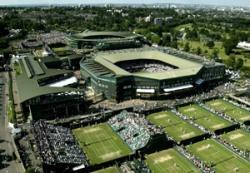 View the ranges at http://www.fila.co.uk You’ll be the envy of your tennis friends!